Home Voice of Biotecnika Did You Know About Trees That make Their Own Rain? Hey there! If We would ask you how trees contribute towards life on earth, you would certainly think that‘s not a worthy question to ask because even a young child can tell the innumerable benefits of trees. But we are here to learn something different and unique. Welcome to another interesting podcast on versatile the platform of Voice of Biotecnika! Today we will be taking you to another interesting voyage with Biotecnika to the Amazon forests where we will be going to explore a few hidden but very fascinating truths. We know trees conserve water, preserve soil, support wildlife bring colors for the urban environment and last but not least remove carbon dioxide from the air and provide the oxygen we breathe but hold on friends one thing you might not be unaware is that these lavish creation of nature possess the ability to make rains. Listen to the podcast below to know more. who is an experienced faculty at BioTecNika. She has a keen interest in keeping herself motivated to learn new and more. The above podcast is one such example of her deep knowledge of trending innovations in life science & medical field. She has expertise in Biotechnology and Microbiology and completed her Ph.D. in Biotechnology. 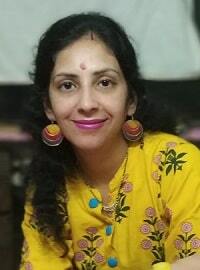 Dr. Nidhi has also been awarded at several workshops and conferences and has publications in reputed international journals. Please do a favour that I can hear this audio without downloading sound cloud.